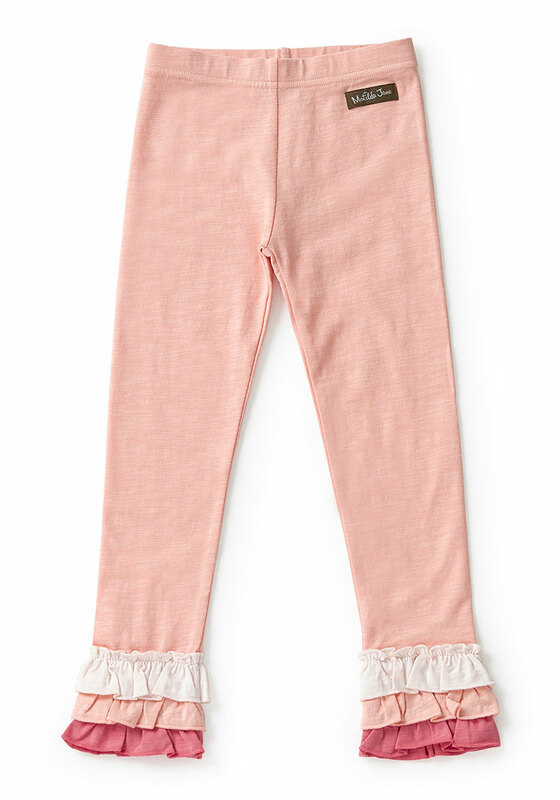 In a sweet shade of pink, these lovely leggings are anything but basic with unexpected ruffle accents at the ankle that add a dash of delight to her every day. The best part? 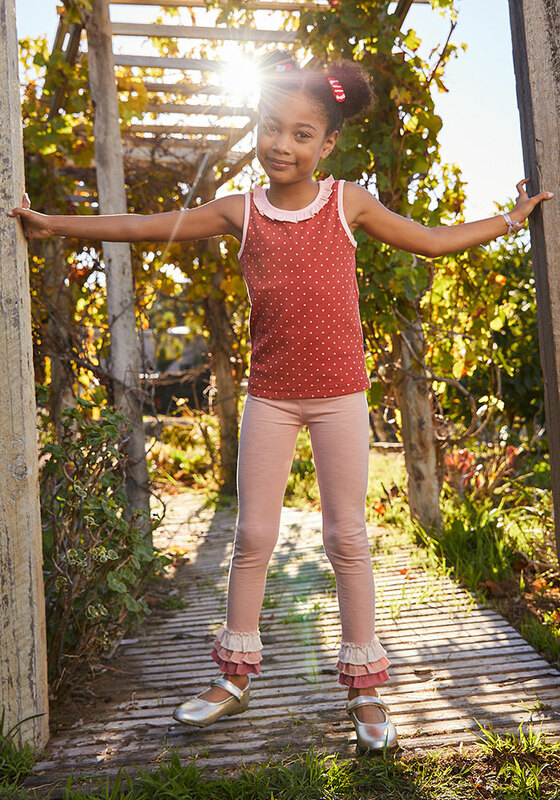 They are oh so soft and comfy as can be!